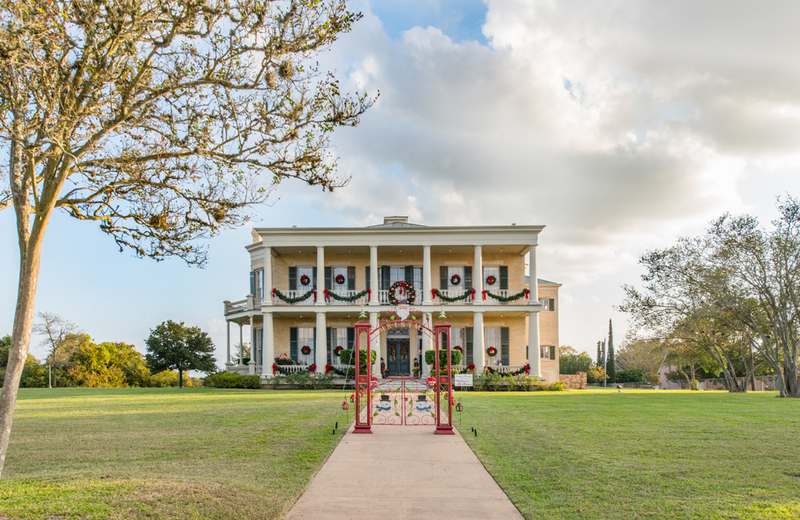 We are so excited about our fourth annual Christmas at the Mansion event! Please mark your calendar for Saturday and Sunday, November 3-4, 2018. This special fundraising event, which benefits the Heritage Society of Washington County, will be Saturday and Sunday, November 3-4, 2018. 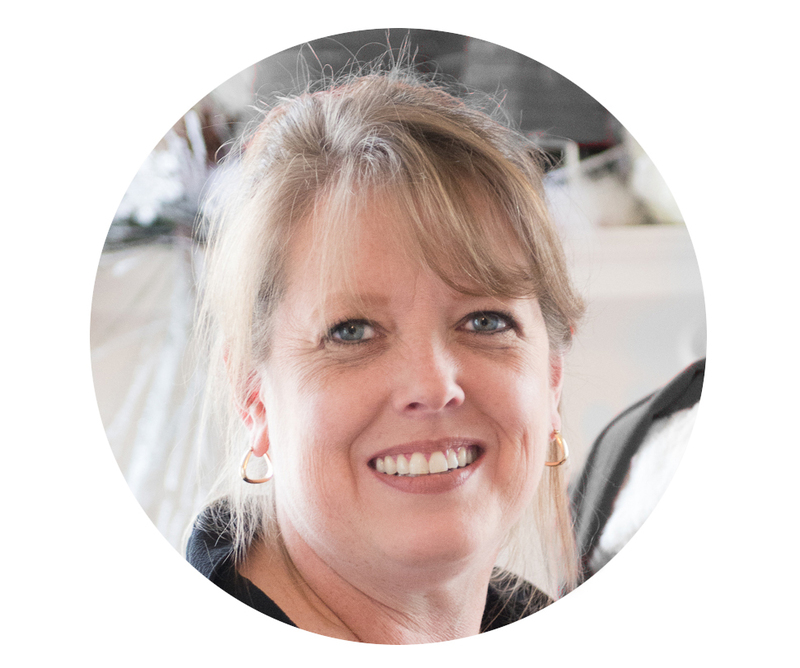 The Giddings Stone Mansion will be decorated by Jennifer Hermann and the Hermann Furniture team. Each room will decorated differently, with the historic home as the beautiful backdrop. The mansion truly comes to life decked in today’s holiday decor. 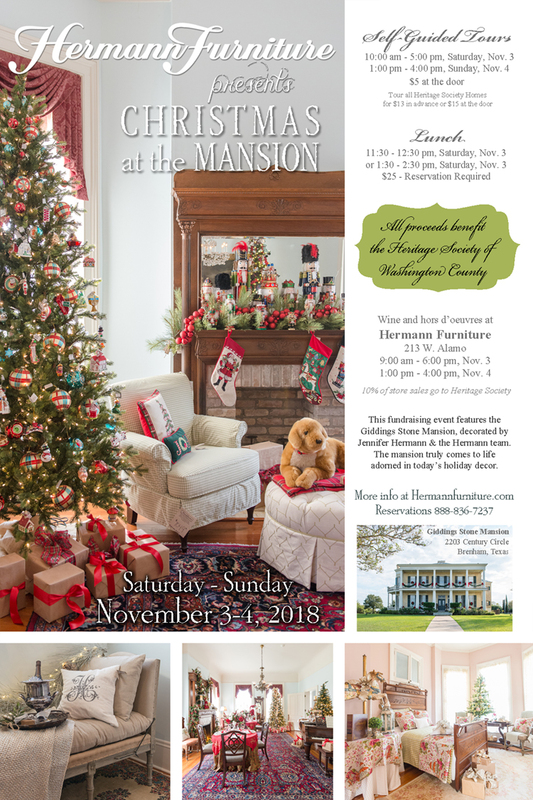 Guests can tour the mansion for a $5 donation to the Heritage Society of Washington County, or they can tour all three Heritage Society homes for $15 at the door/$13 in advance. Guests can simply tour the mansion or choose to attend one of the lunch times (11:30 or 1:30). Lunch require reservations in advance (888-836-7237). More details about each event offered below. After touring the mansion, visit us at Hermann Furniture and Hermann Emporium for wine, hors d’oeuvres, and shopping. We’ll have everything you need to turn your fresh ideas and inspiration into reality for the Christmas season. Ten percent of store sales will be donated to the Heritage Society of Washington County. We raised $5,500 for the Heritage Society of Washington County at last year’s event, and we’re looking forward to supporting this important community organization again this year! Sunday, November 4, 1:00 p.m. – 4:00 p.m.
Tour all three Heritage Society Homes for $15 at door/$13 in advance. Homes include Giddings Stone Mansion, Ross Carroll Bennett House and Giddings Wilkin House. 10% of store sales go to the Heritage Society. or Saturday, November 3, 1:30 p.m. – 2:30 p.m. Proceeds go to the Heritage Society.